San Vito Lo Capo is a small city located in the province of Trapani, on the North-West coast of Sicily. 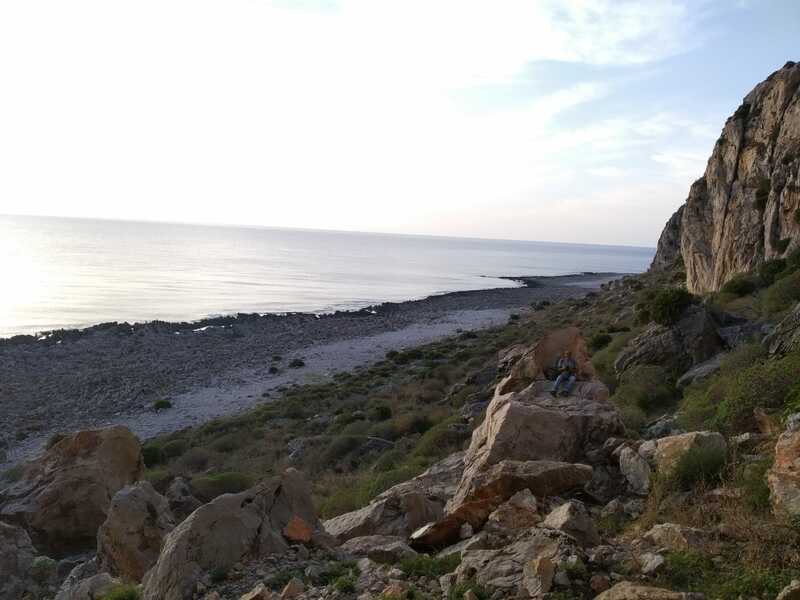 As well as several other spots in the area, it has beautiful shores and crystal clear water: no wonder it is one of the hottest destinations for domestic and international tourism. San Vito has a lot to offer to its visitors: sunbathing, swimming, several outdoor activities, good Sicilian food, nice souvenirs shops spread among the central streets. It is popular both among young people looking for entertainment and for families willing to spend their holidays by the sea. However, someone might argue that the city has become a little too crowded and pricey due to its popularity. 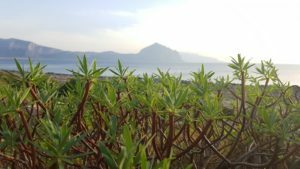 In this post, I won’t tell you about the many gifts San Vito has to offer. Instead, I have decided to write about a quite unusual experience which has inspired been just a couple of days ago. It all started with a good friend of mine who invited me to join a hike around San Vito’s rocky coast. The event seemed particularly appealing thanks to the contribute offered by the speleologist Antonino Filippi, who gave us some more specific information about the area we were visiting. Let’s spend a few words about the location. 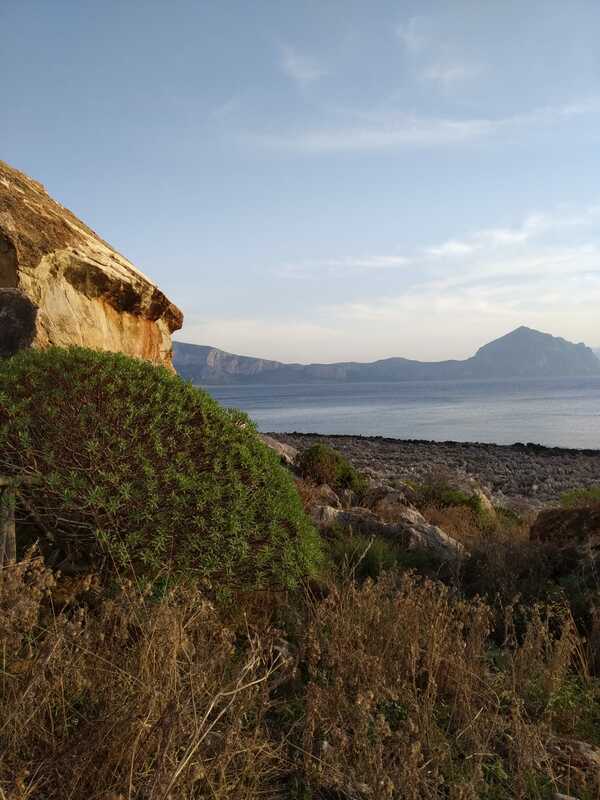 The specific spot where our speleo-hike experience took place is slightly detached from San Vito’s central area, but still really easy to reach by foot walking from the city center or the beach. Indeed, if you’re renting a place in San Vito’s center or if you’re planning a one day journey, I would recommend you to park your vehicle somewhere in the parking lots available in the city (many of them are even free of charge), and then continue walking. One more tip: it might seem obvious, but I strongly recommend NOT TO START HIKING in the hottest hours of the day, if you care for your health. Even in the late months of summer, Sicilian weather remains hot. Better start heading after 55 PM if you want to enjoy your experience: you’ll have time to walk around and see a great sunset. To head from the city to the hiking area, the path is pretty simple: you’ll just have to follow Via Calamancina until the residential area. 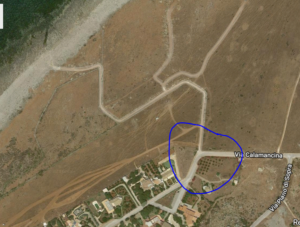 Once in there, do not turn left towards the villas, take the dirt road on the right instead. Then the path will be linear, and it’ll lead you to the caves and also to some stunning bathing spots. Curiosity: among the other things, Sicily is famous for being a seismic island: it is the meeting point of several fractures which shape the earth’s crust. We’ve learned this during our hike: the fractures are visible on the hills’ walls, shaping the surrounding area with gigantic steps. This phenomenon is visible underwater as well. If you plan on scuba diving in San Vito, moving about 400m away from the coast, you’d see how these steps make the seabed incredibly deep all of a sudden. 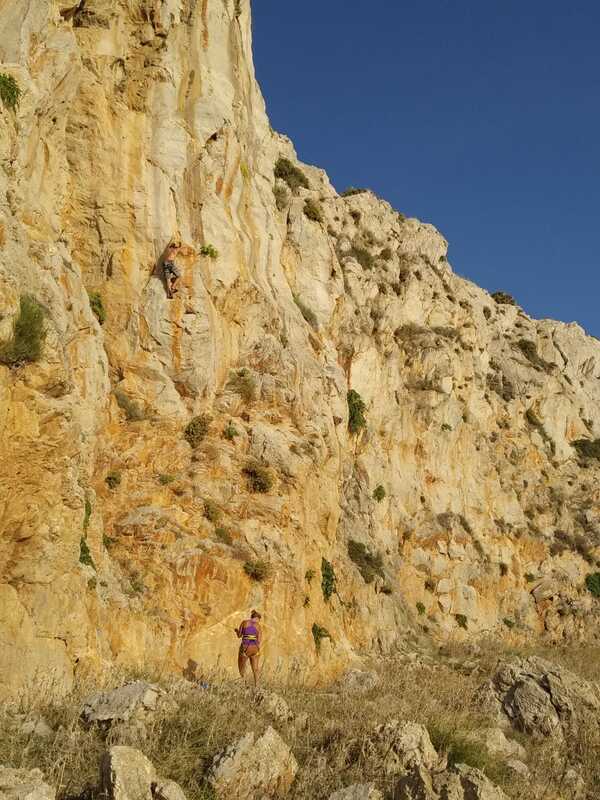 San Vito Lo Capo is one of the most popular destinations for free climbing practitioners too. 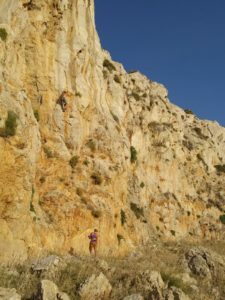 The value of San Vito’s free climbing stand in the extended season: a great number of visitors comes from colder countries, such as Germany or Austria, where the paths get freezing soon due to early snows. San Vito instead allows practitioners to fully exploit the late weeks of September and even the early ones in October. The area is well prepared for the tourists’ affluence: there are several residences and villas used to welcome the guests, just beside the hills already prepared with the climbing paths. Important: even if the paths have already been settled, this is not an activity for amateurs. A patent is needed to go on your own. Let’s go a bit more into the main focus of our speleo-hike experience: the caves. As above mentioned, the territory around San Vito’s is subjected to considerable seismic movements, which have shaped the surrounding area throughout the centuries and millennials. The caves are the result of such moves, they are about 10,000 years old. We have visited two of them during our hike. This cave is a small one; it does not extend very deep. Its main particularity is the presence of ancient incisions on the walls: a geometric one has been named “the kite.” However, the real meaning and purpose of such incision are unknown, as it is strictly connected to the time and the situation in which it was made. The Horses’ Cave is much bigger than the previous one, and deeper. Make sure you’re wearing a helmet before getting inside, better bringing a light if you want to see the paintings on the walls. The ancient paintings date back to 10,000 years ago; they represent both male and female figures as well as labyrinths: once again, the exact purpose of the pictures is unknown. The red color is due to the usage of ochre, which is naturally present in the area. Besides the paintings, the cave offers the possibility to admire stalactites and stalagmites, with a suggestive shore on the background. And this is all for today’s post! I hope it made you curious about these places; many locals are not even aware of them (me included, until some days ago). I am always proud to talk about my motherland and spread the word about its beauties 🙂 Looking forward to seeing your feedback about your adventures in Sicily!